Whether you have run out of ideas on what content to create next or are simply looking for new ways to manage your content strategy, there are a plethora of resources and utilities out there to help you. Many bloggers draw inspiration from others, and what better way to gain new perspective on a subject or method than from a successful blogger or content creator? Despite their fading popularity over the past few years, podcasts are making a huge comeback in the world of content, and the information that many provide can be quite useful to content creators and bloggers alike. In the following article, we’ll recommend four content creation and blogging podcasts that you must check out for tips on how to create content, manage your schedule and organize your website. There are literally hundreds of thousands of WordPress plugins in existence at this point – with many duplicating one another in terms of their intended purpose. How can you figure out which ones are best for your needs? 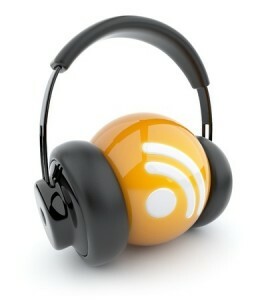 The WordPress Plugins A-Z podcast is a great source for late-breaking news and information on newly-released plugins to be used with your site or blog. From plugins that are designed to be pinging for SEO to plugins that that are meant to be avoided, this podcast gives subscribers the run-down on what to expect and what is worth their time. Many people have difficulty transitioning from a full-time, regular job to the world of blogging and content creation. After the Jump is a useful podcast that covers the broader subject of leaving your traditional life behind in pursuit of this endeavor. From managing your website or blog appropriately to allocating time in the most efficient fashion, After the Jump releases a consistent flow of podcasts that are designed to make the most of this experience. Blogging Your Passion operates under the premise that if you write about what you love, you’ll ultimately be successful. Who want to spend copious amounts of time covering subjects that are of no interest to them? This podcast will help users learn how to focus their creative energies on topics that appeal to their interests. In addition to this, it also covers how to monetize the content, how to market it effectively, how to boost visibility and how to engage in social media properly. Last but not least, don’t forget about a blog that rolls everything you need to know about content creation and management into a simple podcast! How They Blog covers various topics, such as pinging for SEO, marketing to various demographics, driving traffic to your blog and much more. This podcast brings some of the biggest names in the blogging industry in to give advice and tips on how to be successful in the world of online content creation; you won’t want to miss this one! These four blog podcasts can all be helpful to up-starts and established bloggers alike in one way or another. Head on over to the Apple Store or to the podcasts’ official sites to pick these up, and begin learning more about how to be successful at what you love to do! « Is Social Media Now More Important Than SEO?